I first started taking photographs professionally 25 years ago for my mail order children’s clothes business – Hansel & Gretel – informal and relaxed pictures of children just playing outside in the garden or on the beach, and just enjoying themselves. I won my first award in 1994 and taking photographs became a passion, and my passion is now my business with most of my work coming from recommendations. I specialise in wedding photography and family lifestyle portraits using beautiful natural light with a creative feel. 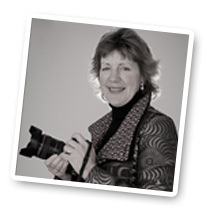 If you would like relaxed, fun, and beautiful images unique to you please do call me on 07933 510243 or email me at caroline@carolinetrotter.co.uk for an informal discussion of your ideas and requirements. Caroline Trotter, a professional, relaxed female wedding photographer based in Fife who photographs weddings in Fife, St Andrews, Edinburgh, Perthshire, throughout Scotland and beyond, would like to welcome you to her website.